GM made a number of changes to the 2014 Chevrolet Caprice PPV, from a new surveillance mode to new front seats. Photo courtesy GM. 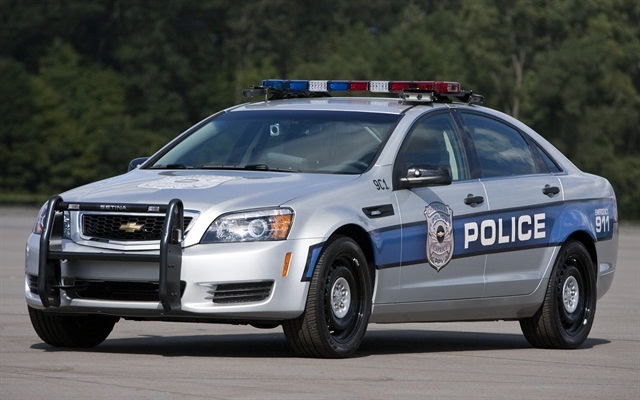 General Motors is offering a number of new features on its 2014 Chevrolet Caprice PPV patrol car. One major change GM made was to relocate the shifter from the center console to a column-shift design. 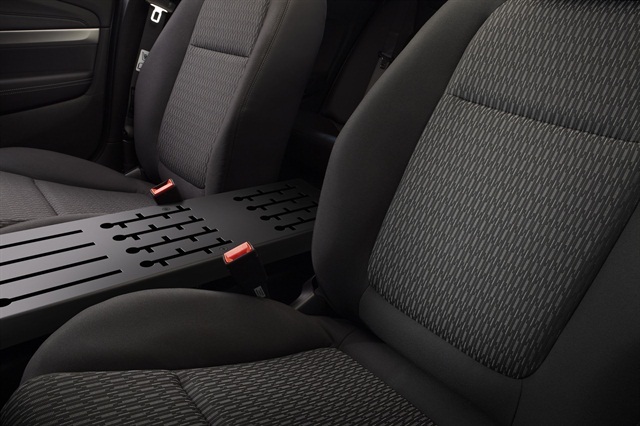 GM said this change makes room for a new center console equipment mounting platform. Other new features for MY-2014 include a surveillance mode, which allows cut-off lights for use in undercover work; electric power steering, which helps reduce fuel use by only using power when the driver turns the wheel; and a larger-diameter front stabilizer bar and new front struts designed to improve handling and reduce body roll during cornering maneuvers. GM also added the Chevrolet MyLink system with a seven-inch color touch screen, Bluetooth for connectivity with cell phones, a new instrument panel and cluster, and a higher capacity 700 CCA available auxiliary battery. Officers can customize various vehicle features using the new seven-inch touchscreen, according to GM. For 2014, GM offers a new exterior color, Prussian Steel Metallic. Jet Black is standard. One major change is the relocation of the shifter from the center console to a new column-shift design (pictured). Photo courtesy GM. In terms of additional changes, GM moved the trunk release buttons to both front doors, made the front seats more comfortable and revised the safety belt receivers to make them easier to buckle, and redesigned the front seat-mounted pelvic air bags, which GM said reduce the risk of pelvic injury by up to 30 percent. GM also relocated the driver information center programming controls to a stalk on the left-hand side of the steering column. For the front seats, GM said its engineers worked on a number of different versions, testing them in the field. 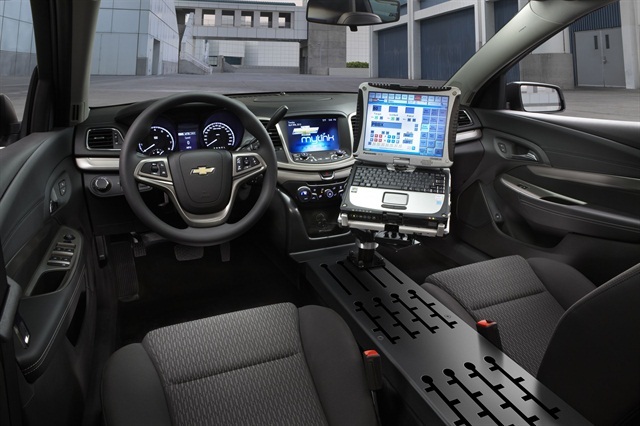 For 2014, GM made the seats wider and changed the bolsters so they allow officers to get in and out of the vehicle more easily. The automaker said its engineers sculpted the front seats so they feature a “pocket” that can accommodate an officer’s duty belt, with space for items normally on the belt. GM also changed the safety belt bucklers on the seats so they are easier to buckle. GM said its engineers sculpted the front seats in the 2014 Caprice to better accommodate officers’ duty belts. They also made the seats wider. Photo courtesy GM. The powertrain for 2014 is essentially the same as with the previous model year. The Caprice PPV is powered by a standard 3.6L V-6 rated at 301 hp. GM offers a 6.0L V-8, rated at 355 hp (265 kW), that comes with Active Fuel Management technology and E85 capability. Each engine is matched with a six-speed automatic transmission with sport shift calibrations designed for high-performance driving.